2016. 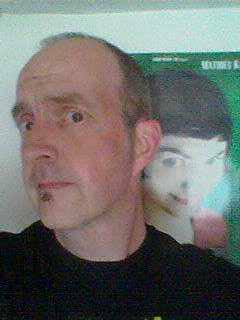 A year, let’s face it, that will mostly be remembered for the people and things we lost rather than the quality of cinematic outpourings… especially when it came to the product served up to visitors of our own local Odeon. Yeah, there were bright spots but, in general, it has been a rather weak year (quality-wise) for cinema and the best described as, “Passable, must try harder”. And yet, in terms of box office receipts worldwide, this has been a record breaking year so, surely, Hollywood must be doing something right, right? Well, the aggressive marketing to emerging markets (primarily China, though we wait to see what the Trump effect will have there), as well as audience familiarity with known and trusted “Brands” (Star Wars, Harry Potter, Marvel Studios and a new Disney “Princess” IP) have helped put bums back on seats. Also, a look at worldwide box office takings reveals that there are quite a few foreign movies doing rather well in their domestic markets (most notably Mei Ren Yu – or Your Name, if you prefer – hovering just outside the top ten and making the equivalent of just over $550 million in its native Japan). It has been a year of “good enough”. Movies that are just good enough to attract audiences and make a small, but good enough, profit seem to have proliferated. Films that deliver on minimum expectation without ever reaching to be great have scattered the year and, as business models go, it seems to have worked. Movies like The Magnificent Seven, The Finest Hours, Don’t Breathe and Ghostbusters are all perfectly serviceable, good enough pieces of entertainment but lack “rewatch-ability”, once you’ve seen them there’s very little need to go back and watch them again. To a certain extent, good enough movies are critic-proof, they seem more than happy to be 3-star rated because that’s what they were designed to be, no more, no less. What this means for the future, only time will tell but, I suspect, with the continued rise of internet streaming and films released simultaneously in cinemas and on-demand what might be good for the studios may not be so great for cinemas themselves. Which brings us to the prospect of not one, but two new cinemas opening in Colchester within the next year or two. Curzon is definitely going ahead, albeit slowly, in Queen Street on the site formerly owned by Keddies department store (ask your parents, kids) and Cineworld will be opening their doors to a 12 screen, 3083 seat multiplex (including an IMAX screen and a 4D theatre) though its location, due to legal wranglings and local government ineptitude red-tape (probably) has yet to be finalised. 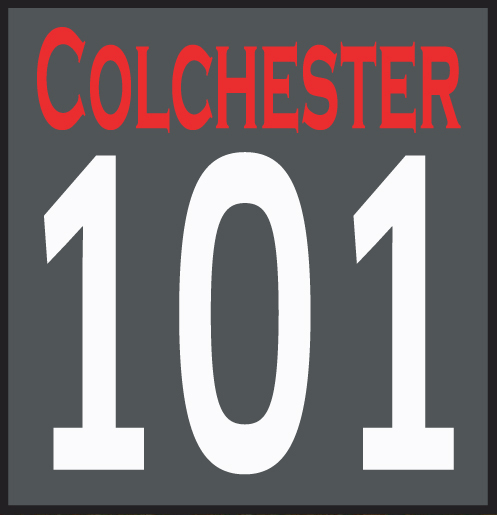 This would take Colchester back to being a three-cinema town, something not seen since the old Cameo Cinema closed its doors in late 1972, but, significantly, there were only three screens between all of them. Supporters of the Curzon project would hope that it will feature a more varied diet than that offered at the local Odeon, but a quick look on the internet at the fare being offered by Curzon’s other out-of-London theatre (Canterbury) shows their programme to be disappointingly familiar. Still, we live in hope. 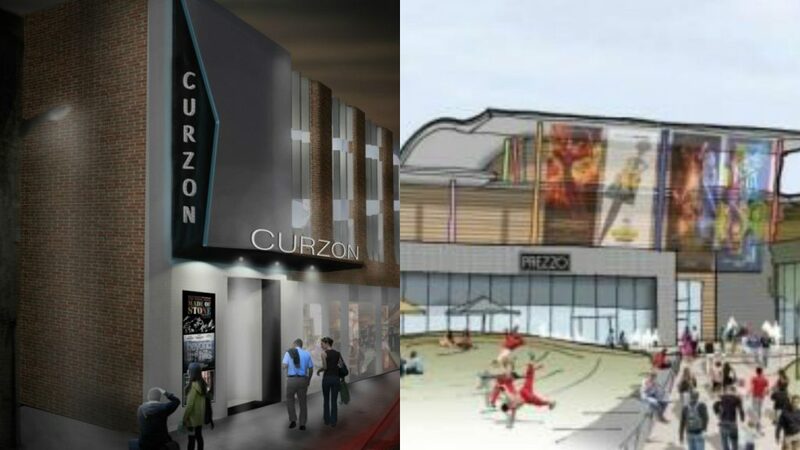 Curzon looks set to open late 2017 and Cineworld? Well, don’t go getting yourself an Unlimited card just yet, I’m thinking 2018 if we’re extremely lucky. Back to 2016 and, I guess, in the time-honoured tradition of film critics everywhere, I owe you a list of my favourite movies of the year. Please bear in mind that this list is HUGELY subjective (I’m not trying to objectively countdown what was the BEST movies of the year here); these are all films that were on general release AND available to see at the Colchester Odeon; do not reflect the opinions of Simon or any of the other marvellous Colchester101 contributors. 10 The Hateful Eight – Quentin Tarantino’s epic who-will-do-what-and-to-whom? As much a polemic on contemporary America as it is a gloriously twisted, gory and goofy play on everything he has made before. 9 The Witch (or is that The VVitch?) – Definitely a horror movie (despite what some may say) and confirmed a life-long suspicion of goats. Wracks up the tension relentlessly with metaphysical angst and dread, left me glad to step out into the sunlight again (in a good way). 8 Hell or High Water – The Chris Pine/Ben Foster movie which wasn’t The Finest Hours and the film I wish Cormac McCarthy had made rather than The Counsellor. A contemporary Western in which all the hats are shades of grey rather than simply black or white. Also, Jeff Bridges best work in ages. 7 Room – What could have been a depressing wade through the darker recesses of human desire was, actually, one of the most hopeful and emotionally joyous movies of the year. 6 Hail, Caesar! – The Coen Brothers delivered with this tale of Golden Age Hollywood and reds-under-the-beds with typical Coen Brothers quirk, brio and laughter and I, for one, couldn’t have been happier. Still chuckling about the Ralph Fiennes/Alden Ehrenreich “Would that it were so simple” exchange. 5 Captain America: Civil War – Hands-down, not only the best superhero movie of the year but one of the best movies of the year. Solid story-telling backed with three-dimensional characters, moral complexity, stunning action sequences and respect for the intelligence of the audience. 4 Kubo and the Two Strings – It’s been a great year for family films, Zootropolis, The Jungle Book, Pete’s Dragon, Fantastic Beasts and The Secret Life of Pets could all have made my list, but I decided to plump for Laika Studios’ Kubo for its sheer technical brilliance and the importance of the message it carries. It’s a movie that no one seems to be talking about but deserves so much more attention. I’d urge everyone to seek it out. 3 The Nice Guys – A movie with a big heart, a dirty mind and everything you’d want from a Shane (Lethal Weapon) Black movie. And manages the seemingly impossible act of making Russell Crowe loveable. I loved every twisted, ridiculous minute of it. 1 = Arrival and Moana – I just couldn’t split these two for my favourite of the year. Arrival delivered one of the most intelligent and nuanced science-fiction movies in years and, like all the best sci-fi films, is so much more than the sum of its parts. In terms of pure entertainment Moana represented the most enjoyable 113 minutes of the year and the only movie I wanted to rush back into the cinema and see again. Now, the bit I’ve been dreading, revisiting those movies that made me want to eat my own head: My most hated movies of 2016! Yes, I disliked Batman Vs. Superman: Dawn of Justice and Suicide Squad, hated Passengers and London Has Fallen and despised Bad Santa 2, but the bunny-currant on top of the dog-poop ice-cream has got to be the truly abysmal Dirty Grandpa. No other movie made me want to tear my own eyeballs out of their sockets and poke about at the squishy bits inside with a stick more than Dirty Grandpa. Hated hated hated it. I won’t leave on that sour note. I’ve been fortunate enough to see a few of the movies coming in 2017 and I hope that they are representative of the year as a whole: terrific, intelligent and entertaining films like Moonlight, Manchester by the Sea, The Autopsy of Jane Doe and, the sublime, La La Land. I’ll continue to try and point you toward the best and steer you from the worst and I hope that 2017 is the one that, against the odds, turns out to be a great one for all of us.